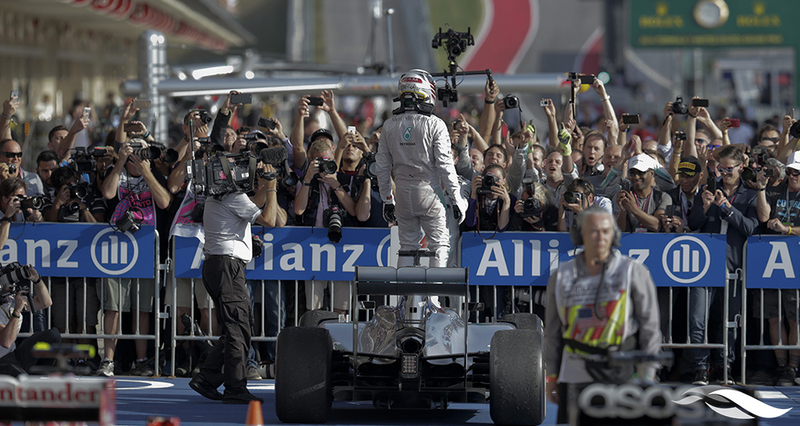 Circuit of The Americas (COTA) is thrilled to announce the launch of an incredible competition for F1 fans to win an all-expenses-paid trip to the 2015 FORMULA 1 UNITED STATES GRAND PRIX in Austin, Texas taking place on October 23-25, where they will also get the chance to meet with current Formula 1 World Champion and MERCEDES AMG PETRONAS Formula One Team driver, Lewis Hamilton. One winner from the EU and the U.S., along with a guest each, will be chosen to attend the 2015 FORMULA 1 UNITED STATES GRAND PRIX, October 23 – 25, and have the opportunity to meet Lewis Hamilton in person! The all-expenses-paid trip will include a 4-night stay in the Texas Capital where each winner (plus guest) will be provided with two (2) three-day tickets in Turn 12, a rental car for the trip’s entirety, and $1000 in spending money. For a chance to win this wonderful experience, COTA is calling on Lewis Hamilton’s legion of followers to showcase why they should be chosen as the lucky one to meet their hero at COTA and experience the 2015 FORMULA 1 UNITED STATES GRAND PRIX in person. The competition will run today through Monday, August 17th and entries will be restricted to social media only. COTA invites fans to demonstrate ‘WHY I SHOULD MEET LEWIS AT COTA’ in the most creative way they can, be it via a photo (with or without accompanying text), a vine, song, short video, animation, poem, haiku etc.…the more creative and passionate the better! Send COTA your reason ‘WHY I SHOULD MEET LEWIS AT COTA’ via Twitter, Instagram and/or Facebook. The competition will be open to fans in the EU and the U.S.A only, and all entries must be sent to COTA’s Twitter, Instagram and/or Facebook pages (listed below) tagging COTA and using the hashtag #COTALEWIS15 at all times. Failure to do so will render any entries void. All forms of media are accepted (photos, text, poems, vines etc.) as long as they can be sent via social media. *The above prize package will be offered to a lucky winner (+1) from both the European Union and the U.S.A respectively. The winners will be chosen by COTA. COTA’s decision will be final. Tickets for the 2015 FORMULA 1 UNITED STATES GRAND PRIX are still available. Three-day passes for the USGP start at $169. Single-day tickets, hospitality packages and camping options are also available. Please visit circuitoftheamericas.com or call +1 512 655 6300 to secure an exhilarating weekend of racing and entertainment.